Can be secured to a pot with the drawstring on the lip as the picture illustrates on a eight gallon pot. Or can use as a giant bag inside a pot. 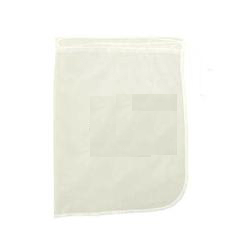 A huge mesh bag with draw string. 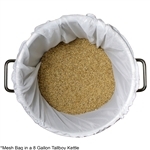 This bag could be perfect for a low cost all-grain system of mashing in a large kettle (Brew In A Bag). Also great for removing solids and or pressing of fruit wines. Could be used to press out a small batch of grape wine where a real press is not an option. Also a great option for breweries to use with whole hops. Great for large amount of whole hop kettle additions. Fits around our 5 gal pot with ease so great for mini mashes. Also works great for fruit additions or making country style wines. Great for additions of pellet hops during the boil. 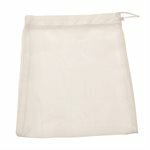 The fiine mesh fabric and drawstring keeps a majority of hop material from entering your fermenter. It also works well for dry hopping in the keg, with pellet or whole hops, where it retains most all of the hop matter. Perfect size for 1-4 ounces of pellets and 1-2 ounces of whole hops. BEER AND TEA BREWING - The hop filter can be used for filtering homebrew, beer, wine, homemade coffee. 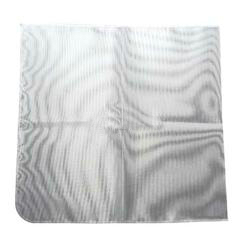 GREAT FILTRATION - 300 micron mesh design, good filtering performance, makes the filtering more fine. Fits 5 gallon keg. ADEQUATE SPACE - The filter can hold up to Approx 2 ounces of leaves, 6oz of pellets. Use in your brew pot and for dry hopping in the keg. 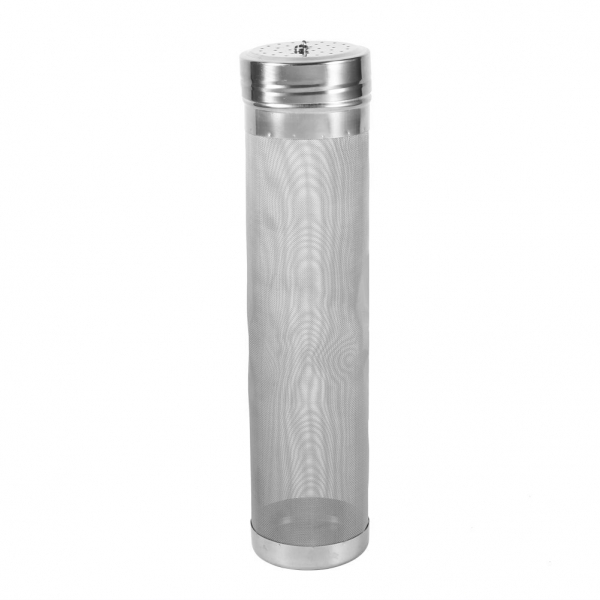 STRONG AND DURABLE - The hop filter is made of quality stainless steel material, strong and durable. SANITARY HOMEBREWING DEVICE- Anti-rust, anti-bacteria, acid and alkali resistant, low and high temperature resistant, safe and healthy. Great for your home brewing equipment and easy to clean.